I thought we should start this week with something shiny. No, not jewelry. 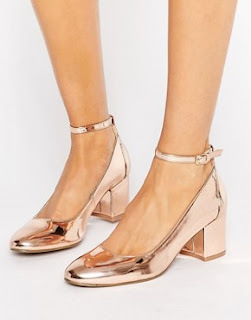 Rose gold shoes. Right? So unexpected and fun! Let's look at a mix of sneakers for casual and heels for a night out. How great are these shoes? Classic Vans style with a feminine twist. OMG these shoes. I love these shoes. Short block heel and rounded toe. Speaking of girly. 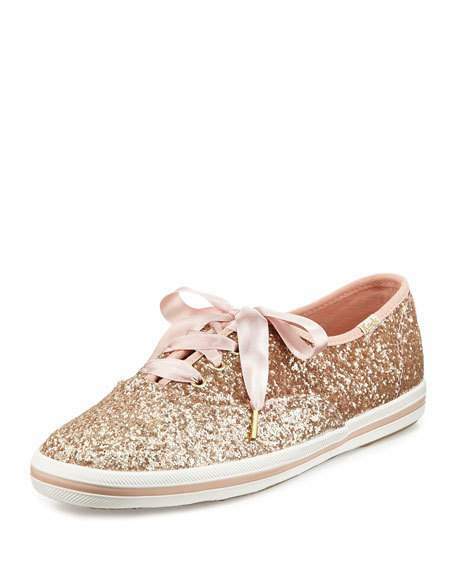 Gotta love some glitter with a ribbon lace. Something to look forward to for summer. Such a great shoe with jeans or to wear to a wedding. 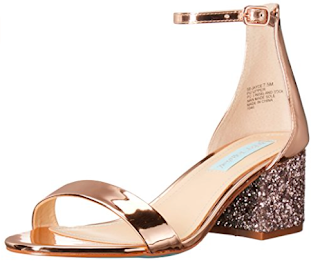 Have some fun when playing with metallics, try some rose gold on your feet!